Excel Energy has two cameras on location of an eagles nest new Platteville, Co. If Obammy gets indicted and subsequently convicted, I will throw the biggest, rootinest, tootinest, mother of all shindigs. I'd have to retire just to make the preparations and build a small village on my place to house my guests. Sounds like fun!! Can I invite myself!! "We Might Someday Need A Press We Can Trust"
I am pissed that the 30 million went to 19 democratic lawyers. How much of that will end up in the DMC coffers. Where, in a Winchester factory. In 1989, a Norwegian citizen named Trygve Bauge brought the corpse of his recently deceased grandfather, Bredo Morstøl, to the United States. The body was preserved on dry ice for the trip, and stored in liquid nitrogen at the Trans Time cryonics facility in San Leandro, California from 1990 to 1993. I can not explain this any better. "Put Socialism on Trial.....and Convict it!" 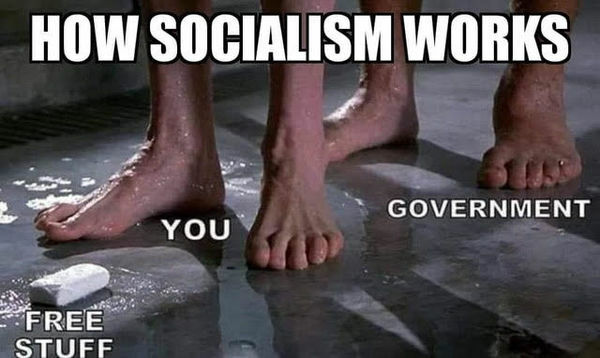 Socialism is nothing more than a fast track to power for the elitist. The ruling class would have all of the luxuries, and the working class would get only the necessities of life. Look at the wealth that Hugo Chaves, Fidel Castro and Vladimir Putin acquired and the standard of living of the lower class. Kevyn, you are really one sick puppy!!!!!!! Anybody watched Oscars last night??? Never have watched Oscars or any other Hollyweird awards. In a number of carefully controlled trials , scientists have demonstrated that if we drink 1 liter of water each day, at the end of the year we would have absorbed more than 1 kilo of Escherichia coli, (E.. Coli) – bacteria found in feces. Therefore, it's better to drink wine and talk stupid, than to drink water and be full of xxxx . BOTH THE HOUSE AND SENATE DRINK A LOT OF WATER WHILE IN SESSION. THIS EXPLAINS THE RESULTS THEREIN.